When you buy a new leather sofa or chair; the advice you receive about cleaning it is given by a trained salesman – not a trained leather cleaner and restorer. Some of our customers tell us that they have been told that leather is natural and will not require professional cleaning, this is not true. Please do not risk causing damage by having a go yourself and trying to choose between saddle soap, silicone based products, cleaning solvents, furniture polish, oils, waxes, abrasive cleaners, ammonia based products or general stain removers. Every accredited NCCA member (National Carpet Cleaners Association) can advise what can be done and how successful the results are likely to be. We always test a small area to be sure that you will be happy with the results and that no unexpected damage or colour loss will occur. SJS also specialise in re-colouring and repairs so if you have a problem, whether it is a scratch, cut, rip or hole, we can certainly help. If your leather is greasy, faded, dried-out or stained there are also procedures that can improve the appearance and alleviate the problem. 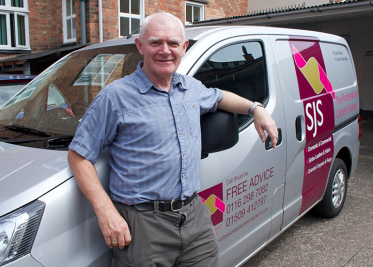 To maintain that like-new look or bring an old item back to life, SJS are trained professionals who can help. We are Senior members of the NCCA and can be found on their website.